A few weeks back, someone on one of my Facebook planner groups posted about these stamp sets and acrylic blocks. So, they're like the HOT new item that everyone wants to get their hands on. 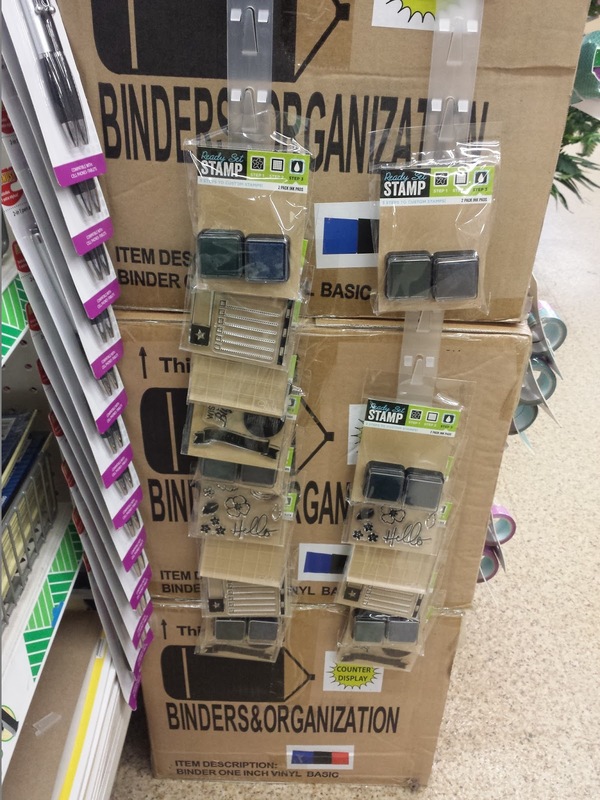 A few days later, after the post, I went to one of my two Dollar Tree stores in my town to see if they had them and they did not. I also tried a store in the next town over and they didn't have them either (at least, not yet). A few days later, I tried the other Dollar Tree store in my town. 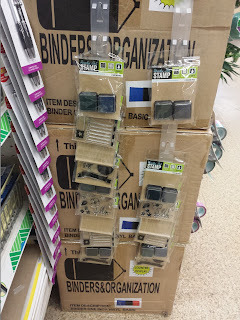 In the store, I strolled up and down the office supplies isle and didn't see them so, I walked around the store and went up and down the office supplies isle again and again and again. When I decided to leave the store, as I was walking up the towards check out through the office supplies isle one last time, as I'm looking ahead, there they were! They had them hanging on the side of a box. I purchased two acrylic blocks and one set of each of the three different sets. 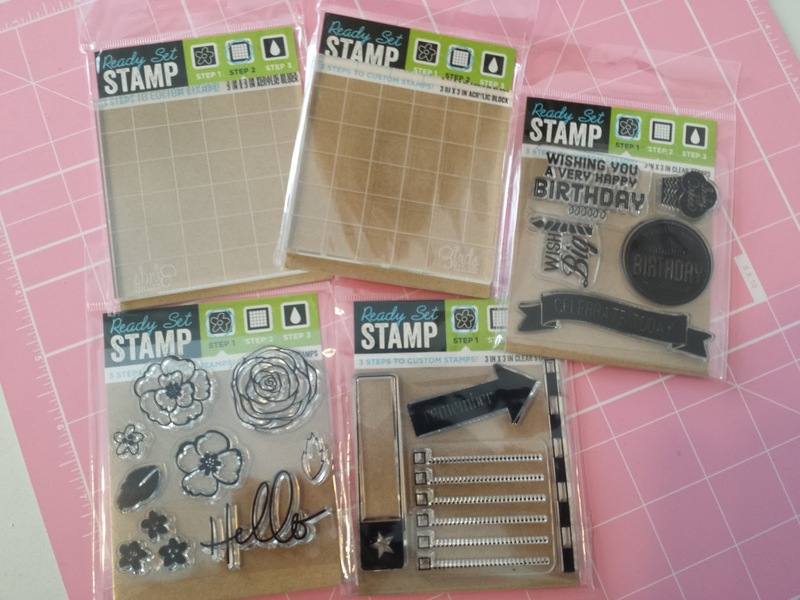 These stamps are no different than stamps you buy at Michael's or Jo-Ann's or Hobby Lobby. They're really nice. The ink I used I bought at Michael's a while back. The brand is Studio G and it's a dye ink. It's from their $1.50 bins. I really like this ink because it does not stain the stamps. Hopefully, Dollar Tree gets more fun stamp sets in the near future. Planners & Organizers. "Write It Down!" 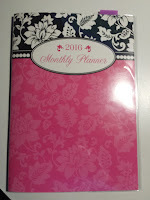 For years I've used a planner to write down appointments, tasks, grocery lists, etc. These days, I still use a planner to write down everything I need to remember. I also use my smartphone's calendar to write down certain stuff and to remind me (with a ring tone) to call here or, there's a doctor's appointment on Thursday, etc. but, with a planner, I can write down even more of what I don't want to forget; but stuff that I don't need a ring tone reminder for. You know what I mean? Also, I think it's easier and faster to write down everything than to type it all in on the smartphone. For lists such as groceries, I like to use Evernote. For example, I will list all the stores I go to on one note. During the week, I look at each stores fliers and type in under each store the items I need. I also add a check box next to each item and I check the item off as I put it in my cart. I have tried Google Keep but, Evernote seemed better for me. I may try Google Keep Again. I used to use a Cambridge monthly planner and before that I think I had an At-A-Glance planner as well. 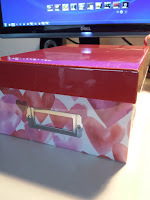 These last few years, I have bought a monthly desktop planner at the Dollar Tree store which works but, you really don't have extra note pages that you sometimes need for when you need to write down ideas, lists, etc. The Dollar Tree calendars had only come in a black, red, green or blue vinyl cover with the year stamped in gold on the outside front cover. This last year, when I picked one up in either November or December, they had some really cool covers (finally) and I bought the one shown. I was really excited when I saw some great graphic designed covers. 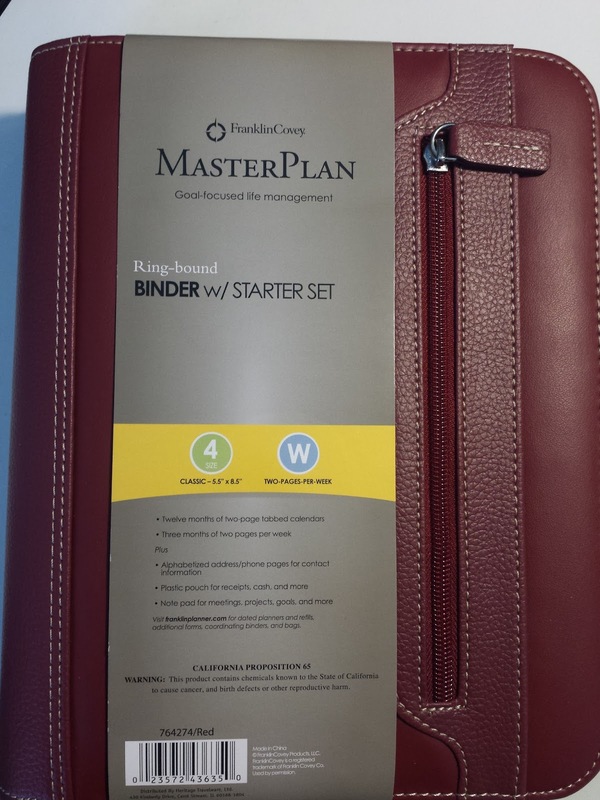 Recently, I bought myself a new Franklin Covey planner at OfficeMax. It's a reddish kind of color. All my other planners were usually black. This new planner has a zippered pocket on the outside and a pocket right behind it, another zippered pocket on the inside as well as a big pocket behind it, six pockets for cards or whatever you'd want to put in them and a pocket behind the card pockets. It also has a notepad on the back. The calendar that comes with it is monthly and you have to write in the dates (numbers) yourself. It also has weekly pages and a name/address section. 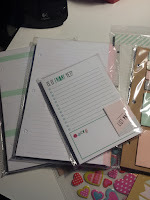 I did take out the weekly pages and the address book and I added some lined note pages, dividers and a pocket folder as well as some sticky notes. I would like to get some nicer monthly/weekly pages with some kind of color and decor so they're not so boring even though I will do some decorating to the pages. Maybe this weekend I will go to the stores and just look around and see what's available. Although it does seem like there's not a huge assortment to pick from unless you go online. Being a graphic designer, I am going to design my own calendar inserts as well as some dividers, etc. One other thing I need is a seven hole punch. My old planner only had three rings which was nice. So even if I bought paper that had more then three holes, I could just stick it in. This new Franklin Covey planner has seven rings. Some of the paper I bought has only three holes which, I started punching the other four holes into but, I gave up after about some five sheets. LOL Amazon has a Franklin Covey seven hole punch and that's the one I'm going to buy. UPDATE: Week of January 18, 2016. I found it!! I've been looking everywhere (in stores) for a Franklin Covey seven hole punch. If they (any store) had it, I'd have to order it on their online store. No store carried (carry's) it at all. 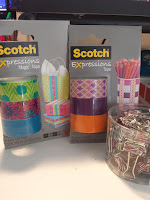 I stopped by my local Office max to pick up some Scotch washi tape that they have had on sale for $1.00 (3 in a pack). They're practically out but, I did buy one pack. Anyway, before I left the store, I decided to checkout the clearance section and there it was!! A Franklin Covey seven hold punch for $6.93! It was the only one on the shelf. I couldn't believe it! I mean, I had been in that store as well as some other stores (Hobby Lobby, Michael's, etc.) quite a few times the last few weeks and nothing. It's just so weird. I have had the Franklin Covey seven hole punch in my cart on Amazon ($21.25 or more depending on the vendor) but, I kept holding off and had not ordered it. I almost did a few times the last couple of weeks. That was a great find! What's your favorite planner? How do you use it? I have been watching some You Tubers show and talk about their planners and how they decorate them, how they use them, etc. I've always used highlighters and some stickers. 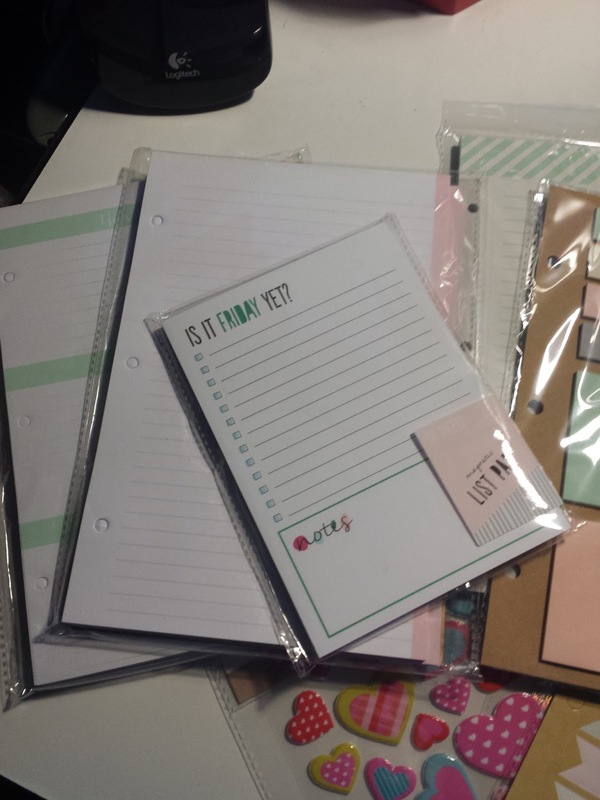 Anyway, I went to Target and searched their dollar bins and found some cool stuff like the notepads, sticky notes, stickers, etc. 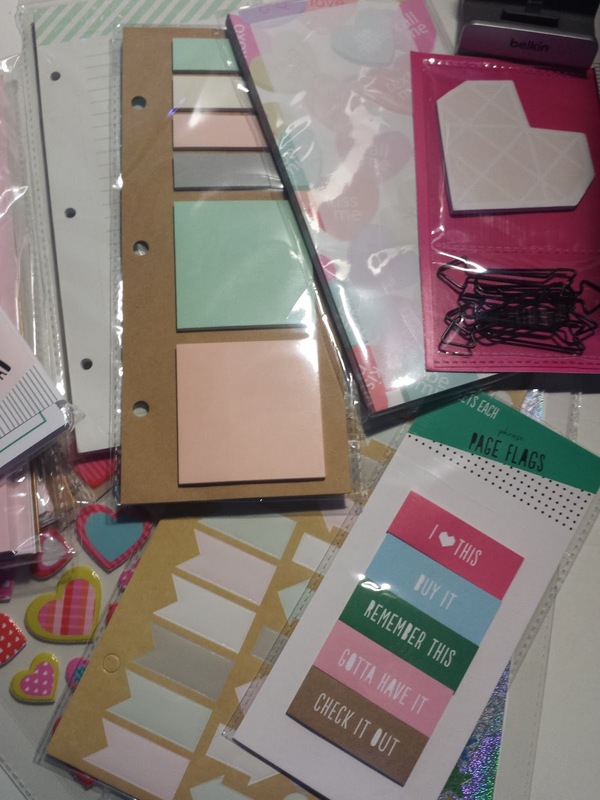 I also got some planner accessories at Walmart and at the Dollar Tree. 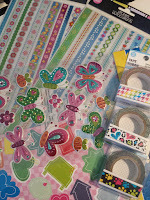 Oh, I also got some Scotch brand washi tape at OfficeMax on sale!! The package contains three tapes for only $1.00!! The sale ends around March 12, 2016. I'd like to get a couple more packages. Do you take some time to add some "flair" to your planner? 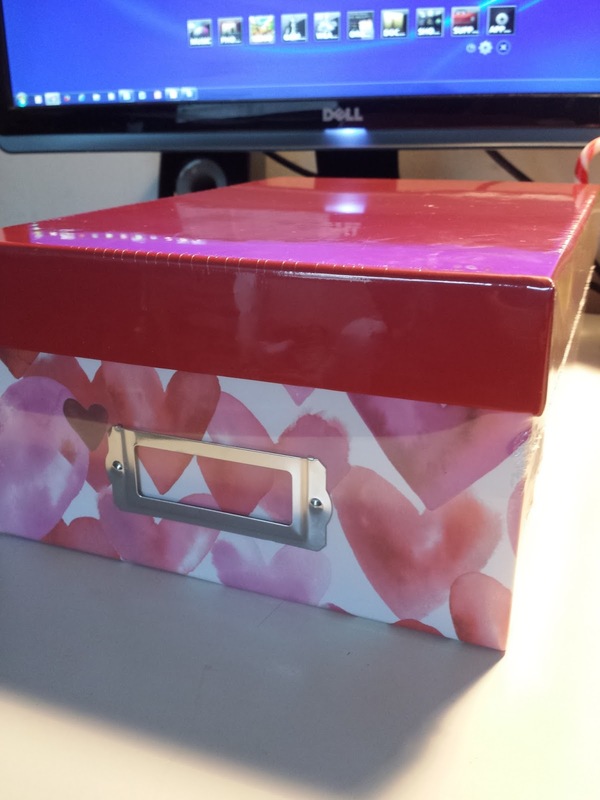 Another item I bought were a couple of photo boxes at Walmart to store all my planner stuff in. These boxes are really nice and they're only $2.00!! There's one more box I want to get. It has black and white vertical stripes on the box and the lid (I think) is black with a big red heart and it says something about being my Valentine. It's really nice. Hopefully, I can get that box within the next couple of weeks. 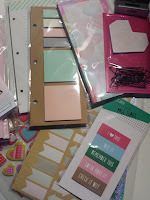 What types of storage do you use for your planner accessories? Maybe next year, I'll give another brand a try such as an Erin Condren, Kate Spade, Kikki K, Sugar Paper, Happy Planner (MAMBI), Bloom Daily, Passion Planner, etc. Only thing is, some of these planners are kind of expensive so, I'll have to do some research. Yes!... Planners have been a part of my life for quite a long while. It sure does help to "write it down!!" For years I've been dreaming of owning a KitchenAid® Artisan® Design Stand Mixer but, I've never really had that extra cash for one. With the deal I found, I just couldn't pass it up. Now, I just have to go pay that credit card! Hahaha! These KitchenAid® Artisan® Design Stand Mixers are so beautiful, so nice and they come in a few gorgeous colors. There is a model that comes with a stainless steel bowl and plastic attachments and a model with a glass bowl and metal attachments. I said to myself that if I ever got one, I'd want the mixer with the glass bowl. They also have a Pro Line® Series, a Professional 6500 Design™ Series and a Professional 600 Design™ Series as well as a couple of commercial series models. These mixers have a 59 point planetary mixing action and there are 15 optional attachments to use with your mixer. From food grinders to pasta makers and more. The attachments are sold separately. Unless, there is some kind of promotion like the one I received with my mixer (FREE Food Grinder). Between all the different models, they come in a huge variety of colors. Good luck trying to choose one color. Because these mixers are a tad on the expensive side, these last couple of weeks I did some pricing research. Online, I checked out Bed, Bath & Beyond, Target, Sears and Kohl's. The following prices for Target and Sears do not include taxes which would be around $18 - $20. The regular price of this particular mixer is $460.00 on KitchenAid.com. On Amazon.com it is priced at $637.99. That sure is quite a huge price difference. NOTE: The following pricing was during the last week of September and first week of October 2015. Kohl's Gift Card: $30.00 (my mixer model ended up not qualifying for this gift card). 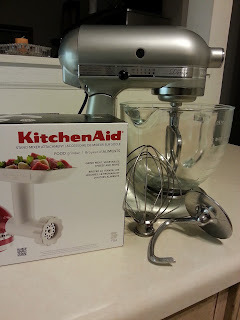 The best deal (I thought) for the mixer with the glass bowl was at Kohl's. Since they didn't have the mixers with the glass bowls in-stock at the store, I had to order it. I placed the order through their kiosk. I chose the Sugar Pearl Silver color (model: KSM155GBSR) because, hopefully, next year I can upgrade all my kitchen appliances and I would like to get stainless steel. 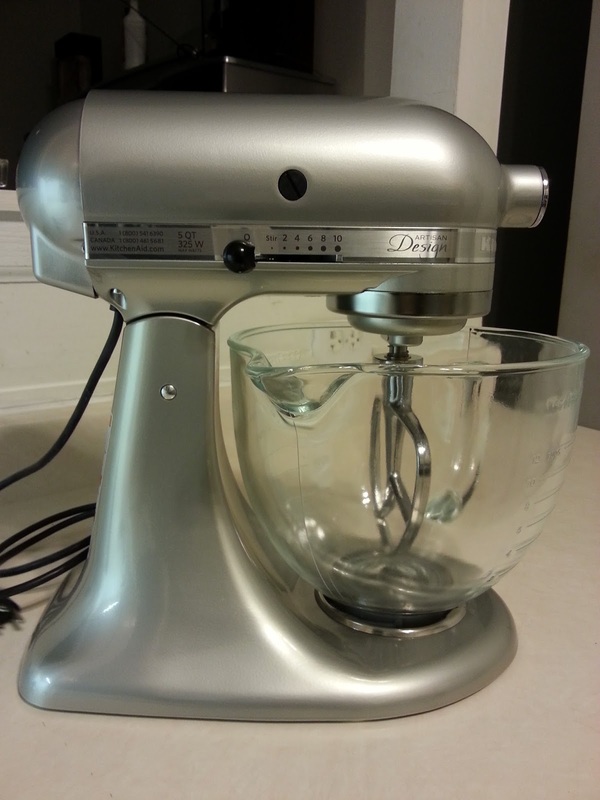 I would have liked to get the Chrome mixer but, those cost $670.00 at Kohl's. Currently, I have all GE/GE Profile appliances in white. This coming January (2016), I will be starting 18 years of owning my house. So, I will have had my appliances for 18 years. It's time to upgrade! Kohl's gave me $60.00 Kohl's Cash and I have until October 12 to spend it. If I buy something that comes to total $61.00, all I will spend is $1.00! Anyway, if I don't get an attachment for my new mixer at Kohl's, I'm thinking of a new silverware set or, a nice set of cookware like Cuisinart would be awesome! It would be great if Kohl's had some of the KitchenAid® Artisan® Design Stand Mixer attachments on sale like the pasta maker or, the stainless steel bowls, etc. I do know that they carry the pasta maker but, I don't think they have either the glass or stainless steel bowls in-store. I'd like to get an extra bowl or two such as another glass bowl as well as a stainless steel bowl with the splatter cover. An extra beater would be nice too like the one that has the scraper. I have read that batters come out better when mixed with a KitchenAid® Stand Mixer (most likely with any other mixer as well) than mixing it by hand. But, on the other hand, a lot of people say mixing their batter by hand (with a wooden spoon) is better. So far, I've used my new mixer once. 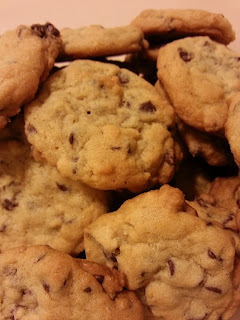 I made a batch of chocolate chip cookies (pictured on the right) and the batter seemed to come out really good as well as the end results. The cookies came out great! For this batch of cookies, I got the recipe out of the KitchenAid® booklet that came with the mixer. It was super simple and I had all the ingredients on hand. My favorite kitchen appliance is my new KitchenAid® Artisan® Design Stand Mixer. I hope it does last me forever so that I can hand it down to my one and only child. What's your favorite kitchen appliance? One of my favorite stores that I like to go and bum around in is "Home Goods." There are four of those stores in neighboring towns not too far from me. On my weekends, when I get bored and/or don't have anything to do, I will go to one or two of my Home Goods stores to see "what's new?" Sometimes, I'll find a spice that sounds good so I'll buy a bottle and try it out on chicken, beef, potatoes, etc. Thing is, I have learned that if you find a spice you like, you'd better go back ASAP and get a few more bottles because next time, they won't have anymore. 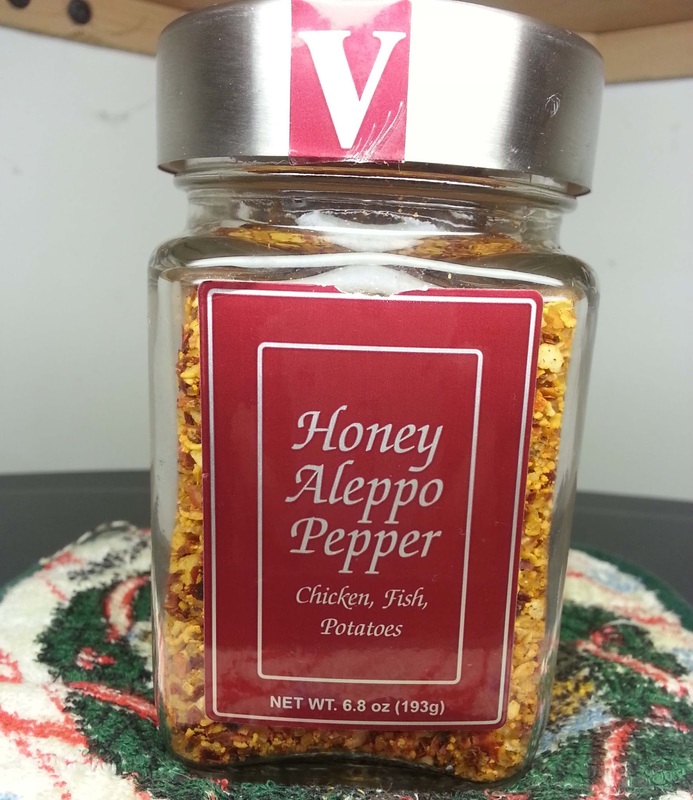 One spice I found a while back that I really liked on chicken and potatoes is Honey Aleppo Pepper by Victoria Gourmet. After I used this spice, I was in love! Just a few months later I wanted to get some more but, it was nowhere to be found. Every time I'd go to a store, I would look and look but no luck. Also, since TJ Maxx stores are a part of Home Goods stores, I would check those stores out too. Guess what? There was a TJ Maxx store on my way to and from my recent temp job. So, I decided to stop and check if they might have any of my spices and, they DID! They had about four bottles of the Honey Aleppo Pepper for the regular price of $4.99. While I wanted to buy all four bottles, I bought two. Also, they had three bottles of a Sicilian Seasoning (which is really good too) on clearance for $3.00 a bottle so I bought one. I already had a small bottle of this seasoning and I had tried some in some jarred spaghetti sauce. It really made a difference and gave the sauce better flavor. Of course, I really wanted to buy all four bottles of the Honey Aleppo Pepper and all three bottles of the Sicilian Seasoning. Yes... I can order these spices on the Victoria Gourmet website (if they have them in stock) but, I think they're a bit more expensive. Then there's shipping and handling. For now, I'll stick to buying them at Home Goods (and, buy more than one bottle at a time). I learned the basics of Final Cut Pro in my spring 2011 Multimedia class. Since I don't have a MAC at home with Final Cut Pro, I do have a PC with the Adobe Master Collection. So, I thought I would practice editing video using Adobe Premiere Pro. Created, shot, produced and edited by Elvira (Visual Xplosion). This is a practice project. Visit my You Tube Channel SaFire98 to view more video projects. Better Picture's With A $3000 Camera vs. $300 Camera? A while back, I was speaking with someone about my black & white photography class and how every student in the class is assigned the exact same camera model (as well as a camera bag) to borrow for the semester. That way, everyone has the same camera and during lecture about the camera, when it comes time for the instructor to show us how to use and work with the camera, s/he would not have to mess around with showing each and every student how to use or work with whatever different camera model was brought in. So, that person said to me (regarding every student being assigned the same camera model) “Is that because a person that might have a $3000 camera will take better pictures than someone with a $300 camera”? Hahaha…. I said “no”! I thought that was really funny! I thought about that person’s remark and boy is he wrong! It does not matter if you have a $3000 camera or a $300 camera. The person with the $300 camera could take better pictures than someone with a $3000 camera. For a professional photographer, it’s not just about point and shoot and just taking pictures. It’s about taking great interesting photos. It’s about getting that great shot with good lighting or good shadows and much more. It all depends on your picture taking knowledge. If the $300 camera owner knows how to use and takes advantage of angles, knows how to use natural (outdoor) lighting and shadows, they will take better pictures than the person who is just pointing and shooting with their $3000 camera and does NOT know how to use natural lighting, from what angle would be best to take and get a great picture, etc. And this person had supposedly taken a photography class at one point in their life. Wednesday, December 14, 2011 is the last day of my “Intro to Black & White Photography” class. Even though it’s been hard work, it has also been a fun semester. I learned how to develop film and how to develop photos. Of course, we learned about aperture, shutter speed, focusing, etc. Some of our class projects dealt with shooting exercises like “Freezing”, “Panning”, “Depth of Field”, “Bracketing Exposures”, “Backlighting”, and assignments such as “Light & Form”, “Angle of View” and more. 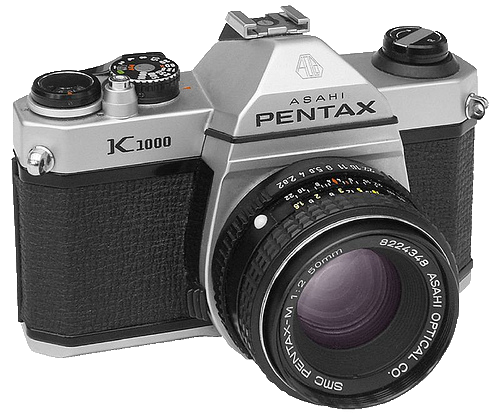 The camera each student was assigned and used for class was the Asahi Pentax K1000, 35mm SLR with 50mm lens. I’ve read that this camera is a great camera for beginning photography students. It has rave reviews. They say that the Asahi Pentax K1000 cameras that were first made in Japan, compared to the ones made in China, are the best because, the *China made cameras, the top and bottom plate were made of plastic rather than of stamped alloy. The production line shifted to China during the K1000’s 21-year span. I really like the book our class used “A Short Course in Photography” 8th Edition by Barbara London and Jim Stone. This book covers most all the basics such as a bit about film, cameras, lens, how to set-up your own photo lab, equipment used, and much, much more. I’m definitely keeping my book! Meaning, I’m not going to sell it back to the school bookstore. The film we used was 400 TMAX Black & White Negative Film. The paper we used to develop our photo’s on was ILFORD Photographic Paper, MGIV, Multigrade IV RC De Luxe, Pearl, 8x10. We also had to purchase some Crescent Board to mount our photos on and some ColorMount that goes in between the photo and the Crescent Board as well as Archival 35mm Negative Preservers. It would be great to one day set-up my own black & white photo lab so that I can develop my own photos. Thing is, how much longer will 400 TMAX Black & White film be available (as well as all other film whether black & white or color)? I know there are other black & white films out there but, I’m used to the 400 TMAX. Buying a photo enlarger along with all the chemicals needed as well as other supplies such as a black & white photo enlarger, timer, trays, developing tanks, film washer, film reels, dark room accessories, etc., it’s not cheap. There are quite a few “do-it-yourself” design sites for logo creation. They might charge anywhere from a few dollars and up to $99 (more or less). With most of these sites, you can have your logo in just one day or two to three days! Isn’t that great!?!?... NOT! These cheap “do-it-yourself” sites (you) don’t do the research needed to make sure the logo you purchase is truly original and you usually get your logo as basically a JPEG which is not a good format for being able to shrink your logo for use on small projects to blowing it up for bigger projects. Also, these “do-it-yourself” sites seem to be using images and clipart that has been originally created and designed by professional designers exclusively for that certain company that hired a designer. These designers DID NOT give their permission to have their work outsourced and/or used and sold to others through cheap “do-it-yourself” sites. One reason to hire a professional is because a real graphic designer will consult with you to get an idea of what your needs are and will do the research to make sure that the logo you get designed will be exclusive. It will not be a copy of another logo. When the time comes for your startup/company to get a logo, contract a professional designer to do it for you! The designer could be either a freelancer or one that works with a design agency. Yes, it may take anywhere from a month, six months or more to get your logo through a professional designer, but in the end, the results will be credible. Besides receiving your logo in JPEG format, your professional designer will deliver your logo to you in a “vector” format which is an editable and scalable version which you will be able to use in a variety of projects from placing it on, let’s say, a flash drive to a ginormous billboard without the logo losing its quality. Also, in vector format, your printer will have no problem working with your logo with placing it on your product. Otherwise, they will tell you to come back when you have the right format. Some designers might even be able to help you come up with a tag line or help you tweak the one you have. Ask your designer. Extra charges may apply. So, contact a REAL designer for your projects! And, don't steal other designers work by "doing-it-yourself". You really don’t know where the “do-it-yourself” site got the images/clipart that are posted on their site. Your logo may end up not being valuable and you won't have permission to use work that has been designed for others and/or for other companies. Yes, it does take time to get a good, quality professional logo and you may pay hundreds of dollars or even thousands of dollars for a logo designed for you by a professional designer. That logo will be original and yours exclusively! It is definitely worth the time and the money! Your logo should be unique to you and your business. It should evolve with your business. It will be YOUR IDENTITY! If you buy a logo off a "do-it-yourself" site, you could be in trouble if you purchased a designers work without their permission (due to the designer not having given the site their permission to post any of their images and/or their work on such sites). The designer owns all rights to the artwork they have created for a client unless they sign off on the contract or on a separate agreement that you (the client) have bought out the copyrights from the designer or the designer may “lend” the client a piece of their copyright. For more information on copyright laws, you can view Copyright Basics for Graphic Designers on the AIGA web site. Social Networking, It Sure Has Changed! Facebook, LinkedIn, Twitter, You Tube and Google+, yes, they’re all social networking sites but, why do some people think they are all the exact same thing? I think they’re NOT the same! They could all work for you in kind of the same way, but they’re still very different. It almost seems like each site has its own personality because once you sign up, it’s really YOUR personality coming through! You sign up and you make it your OWN! Before the above mentioned sites, there were chat rooms and instant messaging, more about those in a bit. Facebook – It sometimes feels like there's a party going on or it can be a chit chat kind of feel (depending on your “Friends”). People post that they’re at Burger King right now (sometimes along with a photo) or that they can’t decide if they want pizza or a beef sandwich for lunch and they ask what do you think, what should I have? A lot of goofy stuff gets posted as well as photos galore. One thing I like is that you can create lists. So I’ve created a few lists from my “Likes” where each list is related to one topic such as Adobe Software, Tutorial Sites, Recruiters/Staffing, etc. It's nice to be able to go to a certain list and see news feeds from my certain "Likes" lists. Facebook does have a character limit. I can’t recall what that is. Update: September 28, 2015 - Ok, at this time, Facebook no longer has a character limit of 500. Since bumping it up a few times in the past years, it's now over 63000 characters. Well, I guess you could say there still is a character limit but, it's quite larger than it was. LinkedIn – My background consists of Graphic/Web Designer, Marketing Assistant/Coordinator & Administrative Assistant. I use LinkedIn to connect with others in my same field (but, it’s not like I’m not connected to other people that are not in my field because I am). They have some great forums created by LinkedIn members in all kinds of fields and topics (you can create a forum too). You can ask questions and get some wonderful advice and/or you can answer questions and share your expertise and knowledge. Once you’ve joined about 55 forums, that’s it! You can’t join anymore. That’s a lot of forums. I can’t join anymore; I’ve maxed out my limit. You can ask for and (hopefully) get a reference/references from people you already know from, for example, class mates or instructors, friends, co-workers and supervisors from past or present jobs. Of course, these people have to be in your LinkedIn network to write and post a reference on your profile. Well, you have to accept what was written first, then you can have it posted. If you post that you’re seeking employment, you never know when one of your connections might see your post on their feed and contact you with some great job info and/or introduce you to someone who is looking for someone like you. What better way to connect with hundreds and thousands of persons in your field. It’s like a great rolodex of like-minded professionals. Twitter – It's all about who you're following and who is following you! It seems to have started out as people posting what they were having for breakfast, that they are now watching such and such on TV, that they just got home and are tired, that tomorrow they have a dentist appointment. With only 140 characters though, you can only say so much! So, u mite have 2 rite in short code. In the past few years, Twitter seems to have changed and has become more topic/news related. I mostly follow people/companies that are in my same field like graphic designers, web designers, or company’s like Adobe or restaurants and stores, etc. The people/companies I follow post news articles, software tutorials, restaurant info, etc. You know how it is. Depending on who you’re following, your feed can contain anything from A to Z. Of course, there are still people out there posting their dinner menu; that they’re going on a bike ride; that they just got home from swimming, etc. So, like Facebook, there’s always someone posting silly stuff too. You Tube – You can network through You Tube by having your own channel and by subscribing to other’s channels and/or becoming friends with other You Tubers. Everyone likes it when you leave comments and/or messages on their channels. On my channels, I have posted multimedia projects that I have worked on at school in my multimedia class this last semester (of 2011). I would like to post more projects, but that will have to wait till I can buy my own camcorder so that I can record stuff. In the meantime, I'll be searching for channels to subscribe to. Google+ – True! It is somewhat similar to Facebook but then again, I really don't think it is. One nice thing is that you don’t have character limits like you do on Facebook and on Twitter. On Google+ instead of News Feeds you have a Stream. You create “circles” to put your friends, family and others in which helps keep them organized and categorized. You can make as many “circles” as you like for example, I have one for Graphic/Web Designers, one for Multimedia People, one for LinkedIn Connections, and others. Whatever fits your needs is what you create. Also, you can put people in more than one “circle” and, you don’t have to put people in a “circle” if they have you in one of theirs. You can also start a “Hang out” or you can join one (no more than 10 people per “hang out”). The “Hang out” is just chatting or, it could be a meeting too. It’s business or pleasure or a combination of both. Years ago, back in the 90’s, chat rooms were the big thing. Just a few of the chat sites that were popular back then were Yahoo Chat, Excite Chat, Talk City, AOL, you could chat through MIRC, and others. Some of those may still be around. I used to chat all the time through Talk City (the Chicago room). A friend and I used to hold chat room parties at dance clubs in different Chicagoland suburbs to meet and get to know those we were chatting with. It was fun and it was something to do. Chat rooms back then were more just being silly and shooting the breeze. I have pictures. Through those chat rooms you could chat with people from all over the world and through some of them you could also have one on one web cam chats. There were also a lot of bots in some of the chat rooms. It was really annoying. Back then, you were either on a PC or on Web TV (which they used to call the poor man’s computer). Only business people had PDA’s and they couldn’t do then what can be done today with a mobile phone. Technology sure has come a long way. Good bye bots!! And these days, hello SPAM!! (Ok, spam has been around a long time, not just the canned SPAM, but e-mail spam). Instant messaging is an earlier form of social networking but it has always been referred to as chat. Some of the popular IM clients were and still are Yahoo, AIM (AOL IM) and Windows Live Messenger. With texting though, I don’t think many people are on IM that much anymore. Whenever I login to Yahoo IM, (which is every once in a great while) there’s hardly no one on anymore. Each of the sites mentioned is so different and there’s so much more to say about them. In the end, these sites are all about YOU! It’s about one's experiences and expertise. It’s about sharing your knowledge, your stories and networking (which is big these days). You all have something to contribute. So what makes today’s social networking sites is YOU, all the people of the world, our family, our friends and our neighbors. Who would have ever thought (many years ago before chat rooms) that you would be able to meet other people from more than half way around the world in an instant with just the click of a mouse! Welcome to the world of SOCIAL NETWORKING. How you use these sites, is up to you. You can use them to your advantage or just for fun. For me, social networking is somewhat on the informational side such as subscribing to career related articles and news, job hunting, following someone to get creative tutorials and creative news articles and topics, keeping up with family and friends that don’t live right next door or live just five minutes away and of course networking. I just wish I had the time to be able read each and every article that comes my way. This is a class project where we were to pick a song and create a music video. Of course, we were to shoot and edit the video ourselves. Enjoy!! Project Title: "Party in The Park"
In my Web Site Design class, we are to write a "Reflecion of Learning" paper. It is supposed to "Reflect upon your past learning and implementation of projects. Include your aquired expertise, experience, and qualifications." Back in 2004, I was attending Elgin Community College to earn a Computerized Graphic Design Associate degree. I was in Illustrator II and QuarkXPress II classes (I didn’t take Photoshop I and ll until spring and fall of 2005). Also, I was seeking a graphic design job. Of course, if you have never done the kind of work (in the real world) that you’re seeking, they will not give you a chance. But, I got lucky! I got hired in the marketing department of a company as a Marketing Assistant. I was happy and scared at the same time. That company used older versions of Photoshop and Illustrator and for page layout they used QuarkXPress 5. At school, we were using QuarkXPress 6 and Adobe CS. Then, the after the next two or so semesters, the ECC graphic design department upgraded to Adobe CS2 (but still used QuarkXPress). A majority of my job was as the Graphic Designer. I would work on projects such as brochures, ads that went into trade publications, post cards, fliers, handouts, PowerPoint presentations, etc. Many times, for some projects, I would try to utilize the knowledge I was learning in my design classes at ECC. After that job, in 2006, I got hired at a different company (more money). It was also in the marketing department as a Marketing Assistant (which a majority of my job was as the Graphic Designer). The job was almost basically some of the same tasks as the previous job, but one thing I got to do at the new job were e-mail blasts using Microsoft FrontPage. I had never really used Microsoft FrontPage before. Great thing was they already had templates for the e-mail blasts, for notices, and so on. That was exciting for me because I got to utilize my basic HTML knowledge (through FrontPage) as well as my ImageReady knowledge (for GIF animation) and by then; I had already had the Photoshop classes. Times have changed in the graphic and web design field these days. Not only do they want you to be a graphic designer (print) but they also want you to have web design skills too. It could be having knowledge in either front-end web design and/or back-end web design. So, I sent myself back to school the fall semester of 2010 to earn that Web Design Associate degree (which I will receive May 2011). It’s nice to have gotten some experience with Dreamweaver through my Web Site Design class and Flash through my Computer Animation class. Dreamweaver and Flash are something I have wanted to learn for the last few years. The thing I need to do now is to start looking into and start learning HTML5 and CSS3. Just a few more years and HTML5 and CSS3 will then be the norm. While I have learned a lot at school, I know that in order to stay on top of things, I will have to keep learning on my own. Whether in between classes and/or once I no longer attend classes, I will need to take classes here and there for refresher and updates. I don’t think print will ever die out. Web is, of course, a tad bigger than print these days. The other thing that is almost a tad bigger than web is Apps. I’d like to learn how to design and create apps for cell phones, pads and so on. But, there’s just not enough time to do and learn what I would like to do/learn. Maybe in my next lifetime! On top of all the graphic design and web design bookmarks I save to look through and e-mail newsletters I scan through here and there, one way I learn about what’s new with graphic design, web design, packaging design, software, etc., is that I subscribe to publications (which come through snail mail) such as PC World, Website Magazine, GD USA, Deliver, Brand Packaging, Food and Beverage Packaging, CRM (Customer Relationship Management), etc. Nice thing is, most of the publications I mentioned are free. So, I take advantage and sign up to receive them. I prefer actual hard copy publications then having to be stuck to my PC almost 24/7. 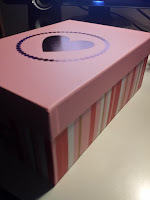 I also, at times, get information through snail mail such as samples, posters, idea books, etc., from Sappi (a paper company), USPS and other companies (also free). It’s great stuff to look at and get ideas from. Going to school part-time while working full-time has been tough and there have been sacrifices made. In the long run, I’ve learned a lot and I hope to keep on learning. Visit Elvira's profile on Pinterest.